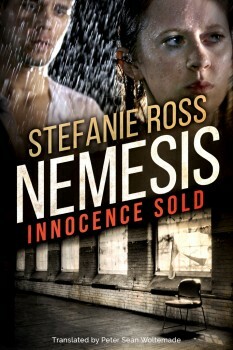 The first pages of NEMESIS: INNOCENCE SOLD by German author Stefanie Ross are filled with an extensive list of dramatis personae and it soon becomes clear why because there is so much going on in those opening chapters: drug raids, police department politics, an apparent abduction, and even the involvement of both German and American Special Forces. These seemingly disparate plots come together like a batch of holiday Glühwein made with warm red wine, spices, a little orange rind, and sugar. Take a sip—it’s a delicious winter cocktail, just as this is a delicious thriller. With this novel, the author is finally making her first appearance to American readers after several popular novels in her native Germany. In between visiting Germany’s famous Christmas markets and getting ready for the holidays, Ross answered a few questions about her 2016 debut for American readers. One of the things that’s really interesting about NEMESIS: INNOCENCE SOLD is that while there is plenty of action, there is a lot of focus on male friendships between characters like Mark, Sven, Dirk, and Danny. These are tough guys, but they care deeply about one another. This is something that’s often glossed over in many thrillers. Can you talk a little about your insights into these male friendships? Well, NEMESIS: INNOCENCE SOLD is the fifth part of this series, so there’s a history behind these men. They fought together, learned to trust each other, and know each other very well. You have published 15 novels in German and Bulgarian. NEMESIS: INNOCENCE SOLD is your first book to be translated into English. 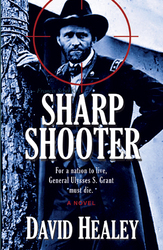 Did you take a different approach in this novel, knowing that it would be read by an American audience? No, I wasn’t thinking about any translation when I wrote NEMESIS. The translation was done after the book was quite successful in Germany and a “No. 1 bestseller in thriller” on Amazon. You have traveled quite a bit in the United States—even by motorcycle! What were some of your favorite places? Did you have any particularly exciting or scary experiences? There are so many great places, so this could be a very long list! But first of all there’s the Grand Canyon. It’s so impressive, unbelievable. I stood there, saw just desert ground around, and asked myself what the hell could be so great about this place? Then I just went some steps and saw the canyon and kept still for a long, long time while just staring at this wonderful canyon with all its great colors. But the Yosemite and the Yellowstone National Park are also at the top of this list, followed by places like the White House or the FBI Museum in Washington D.C., the Golden Gate Bridge, the Pacific Highway Route 1, and so on and so on. But there were a lot of scary things during these months. In a shower cabin of a campground I saw the biggest tarantula ever. You can’t imagine how fast I got out of there! On a river rafting tour on the Rio Grande, my girlfriend and I went overboard during some very heavy rapids and the current took us to the Mexican side of the river—in the middle of nowhere. After a while we decided to trust the life jackets and jumped back into the river. After a fantastic swim tour through some lighter rapids and some turns of the river, we found the boat and the tour guide, waiting for us on the U.S. bank of the river. The last real dangerous thing happened just hours before our flight back to Germany. We heard the noises of a fight in the neighboring room in our motel in New Jersey. I ran out and got a glimpse through the window in the room next door of a woman with a bloody face. My friend called the cops while I hammered at the door. That wasn’t very smart, but successful, because the guy in that room stopped hitting her. Several minutes later the cops arrived, arrested the man, and took his wife to the hospital. Don’t ask me what the cops told me about my actions! Tell us a little about your writing process. Do you outline or do you see where the story takes you? At the beginning I know just my characters, the end of the story, and a few things about the middle. Definitely the story (or better my hero/heroine) takes me through the pages. Can you share something about your work habits? For example, do you write in the mornings? Do you have an office or do you write in a comfy chair or in a café? What’s the writing community like in Germany? In the U.S., there are many organizations for writers, and lots of conferences (including Thrillerfest.) Does something similar exist in Germany? When I compare the writing community in Germany with the counterpart in the U.S., a sunrise leaps into my mind. There is something at the horizon, but it grows quite slowly. We’ve got a Facebook group from the “DeLiA” (German Romance Writers), where we talk about publishers, discussing everything from Amazon to Wikipedia, and sometimes just chatting. We also have the Sisters in Crime—German Chapter, with a mailing list for questions. Then we have some discussion boards for authors, but all this is nothing compared to the U.S. community. The writers in Germany are just beginning to talk to each other and to start networking. When I met American authors at a convention in Berlin, I was astonished about the variety of the U.S. community. Stefanie Ross was born in Lübeck, Germany. She has lived for most of her life in Northern Germany, and she has travelled to the United States, Canada, and Mexico by car and motorcycle. In 2012 she published her first romantic thriller with hot men, strong women and dark secrets. Today there are 15 books – romantic suspense and thrillers. Some of her books have been translated into Bulgarian. If not writing or thinking about new novels, she’s riding her motorcycle, reading a book or spending time at or in the ocean. Ross lives in the near of the Baltic Sea with her husband and her son. She’s addicted to coffee, whisky (single malt only!) and her two guinea pigs. 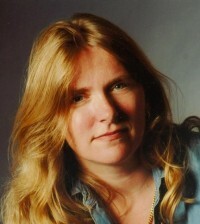 She is a member of International Thriller Writers and Sisters in Crime. 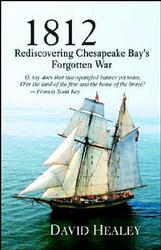 Readers can visit her website, or become her friend on Facebook. Nemesis: Innocence Sold is her English language debut. This entry was posted in Writers & Writing and tagged David Healey, Stefanie Ross, The Big Thrill. Bookmark the permalink.